Freddie Gibbs and Madlib are arguably the best rapper/producer combo this decade. Over the past month and a half, they’ve been teasing the release the sequel to 2014’s Pinata. “Flat Tummy Tea” and “Bandana” were the first two singles f the project but neither Madlib or Gibbs have confirmed a release date for the project. On Gibbs recent appearance on #NoWahala podcast, the rapper shared exclusive details on the project including when they plan on dropping, Bandana. Bandana has been a work in progress over the past few years. Gibbs spoke to the #NoWahala hosts Tune Day and Bawo and detailed his upcoming project with Madlib. The rapper didn’t mention who was on the upcoming project but he did reveal that he had a big feature on the project. He also teased that the third single f the project is set to drop next month right before Bandana drops. “Probably April before the album come out. Right before the album come out,” he said. 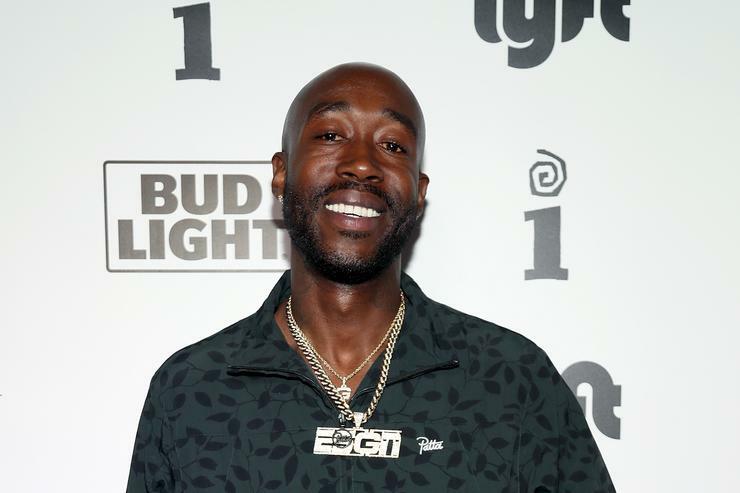 Bandana marks a new era in Freddie Gibbs career. After spending the past decade releasing music independently, the rapper recently announced his new major label deal with KeepCool/RCA Records. Bandana is set to be released as a partnership between Keep Cool/RCA Records & Madlib Invazion/ESGN. Peep the episode below with Gibbs talking about the release around the 61:40 mark. Next Post:Jordan Peele Breaks Down The Michael Jackson Reference In "Us"